The Food and Drug Administration's New Drug Application (NDA) is the vehicle in the United States through which drug sponsors formally propose that the FDA approve a new pharmaceutical for sale and marketing. Some 30% or less of initial drug candidates proceed through the entire multi-year process of drug development, concluding with an approved NDA, if successful. Exceptions to this process include voter driven initiatives for "medical" marijuana in certain states. To legally test the drug on human subjects in the U.S., the maker must first obtain an Investigational New Drug (IND) designation from FDA. This application is based on nonclinical data, typically from a combination of in vivo and in vitro laboratory safety studies, that shows the drug is safe enough to test in humans. Often the "new" drugs that are submitted for approval include new molecular entities or old medications that have been chemically modified to elicit differential pharmacological effects or reduced side effects. The legal requirement for approval is "substantial" evidence of effectiveness demonstrated through controlled clinical trials. This standard lies at the heart of the regulatory program for drugs. Data for the submission must come from rigorous clinical trials. Phase 1: The drug is tested in 20 to 100 healthy volunteers to determine its safety at low doses. About 70% of candidate drugs advance to Phase 2. Phase 2: The drug is tested for both efficacy and safety in up to several hundred people with the targeted disease. Some two-thirds of candidate drugs fail in Phase 2 clinical trials due to the drug not being as effective as anticipated. Phase 3: The drug is typically tested in several hundred to several thousand people with the targeted disease in double-blind, placebo controlled trials to demonstrate its specific efficacy. Under 30% of drug candidates succeed through Phase 3. Phase 4: These are postmarketing surveillance trials in several thousand people taking the drug for its intended purpose to monitor efficacy and safety of the approved marketed drug. The legal requirements for safety and effectiveness have been interpreted as requiring scientific evidence that the benefits of a drug outweigh the risks and that adequate instructions exist for use, since many drugs have adverse side effects. Many approved medications for serious illnesses (e.g., cancer) have severe and even life-threatening side effects. Even relatively safe and well understood OTC drugs such as aspirin can be dangerous if used incorrectly. The results of the testing program are codified in an FDA-approved public document that is called the product label, package insert or Full Prescribing Information. The prescribing information is widely available on the web, from the FDA, drug manufacturers, and frequently inserted into drug packages. The main purpose of a drug label is to provide healthcare providers with adequate information and directions for the safe use of the drug. 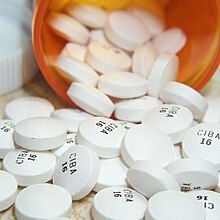 The documentation required in an NDA is supposed to tell the drug’s whole story, including what happened during clinical tests, what the ingredients of the drug formulation are, results of animal studies, how the drug behaves in the body, and how the company manufactures, processes and packages it. Currently, the FDA decision process lacks transparency, however, efforts are underway to standardize the benefit-risk assessment of new medicines. Once approval of an NDA is obtained, the new drug can be legally marketed starting that day in the U.S.
Of original NDAs submitted in 2009, 94 out of 131 (72%) were in eCTD format. Once the application is submitted, the FDA has 60 days to conduct a preliminary review, which assesses whether the NDA is "sufficiently complete to permit a substantive review." If the FDA finds the NDA insufficiently complete (reasons can vary from a simple administrative mistake in the application to a requirement to re-conduct testing), then the FDA rejects the application by sending the applicant a Refuse to File letter, which explains where the application failed to meet requirements. Assuming the FDA finds everything acceptable, they decide if the NDA needs a standard or accelerated review, and communicates acceptance of the application and their review choice in another communication, known as the 74-day letter. A Standard Review implies an FDA decision within about 10 months while a Priority Review should complete within 6 months. The decision comes in a Complete Response Letter. Biologics, such as vaccines and many recombinant proteins used in medical treatments are generally approved by FDA via a Biologic License Application (BLA), rather than an NDA. The manufacture of biologics is considered to differ fundamentally from that of less complex chemicals, requiring a somewhat different approval process. Generic drugs that have already been approved via an NDA submitted by another maker are approved via an Abbreviated New Drug Application (ANDA), which does not require all of the clinical trials normally required for a new drug in an NDA. Most biological drugs, including a majority of recombinant proteins are considered ineligible for an ANDA under current US law. However, a handful of biologic medicines, including biosynthetic insulin, growth hormone, glucagon, calcitonin, and hyaluronidase are grandfathered under governance of the Federal Food Drug and Cosmetics Act, because these products were already approved when legislation to regulate biotechnology medicines later passed as part of the Public Health Services Act. Medications intended for use in animals are submitted to a different center within FDA, the Center for Veterinary Medicine (CVM) in a New Animal Drug Application (NADA). These are also specifically evaluated for their use in food animals and their possible effect on the food from animals treated with the drug. Regulation of therapeutic goods, rules in different countries. ^ a b "The Drug Development Process". U.S. Food and Drug Administration. January 4, 2018. Retrieved May 1, 2018. ^ a b c "The Drug Development Process. Step 4: FDA Drug Review". U.S. Food and Drug Administration. January 4, 2018. Retrieved May 1, 2018. ^ Commissioner, Office of the. "Public Health Focus - FDA and Marijuana". www.fda.gov. Archived from the original on April 28, 2018. Retrieved April 30, 2018. ^ a b c d e "The Drug Development Process. Step 3: Clinical Research". U.S. Food and Drug Administration. January 4, 2018. Retrieved May 1, 2018. ^ "The Drug Development Process. Step 1: Discovery and Development". U.S. Food and Drug Administration. January 4, 2018. Retrieved May 1, 2018. ^ "Daily Med:Current Medication Information". Archived from the original on November 12, 2008. Retrieved October 10, 2007. ^ Liberti L, McAuslane JN, Walker S (2011). "Standardizing the Benefit-Risk Assessment of New Medicines: Practical Applications of Frameworks for the Pharmaceutical Healthcare Professional". Pharm Med. 25 (3): 139–46. doi:10.1007/BF03256855. Archived from the original on February 6, 2012. ^ Kathie Clark (December 15, 2009). "Updates from the Regulators:FDA". The eCTD summit. Archived from the original on July 16, 2011. ^ "Merck KGaA Receives Refuse To File Letter From FDA On Cladribine Tablets New Drug Application". medicalnewstoday.com. Archived from the original on March 5, 2010. Retrieved April 30, 2018. ^ "Cadence Pharmaceuticals Announces Priority Review and Acceptance of NDA Submission for Acetavance for Treatment of Acute Pain and Fever". drugs.com. Archived from the original on July 11, 2017. Retrieved April 30, 2018. ^ "FDA, CDER Office of Generic Drugs". fda.gov. Archived from the original on May 28, 2009. Retrieved April 30, 2018. ^ "C&EN: COVER STORY - BEYOND HATCH-WAXMAN". pubs.acs.org. Retrieved April 30, 2018. This page was last edited on 14 July 2018, at 16:58 (UTC).